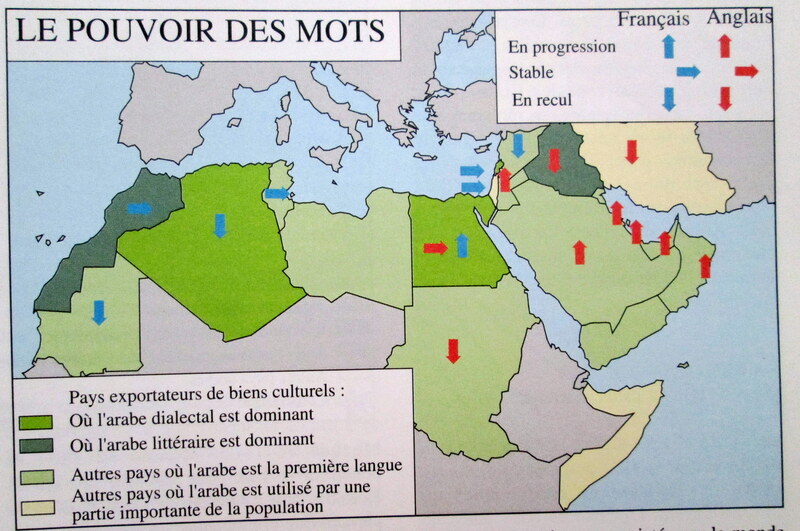 These are a few of the highlights from a French book of maps about the Middle East that came out in 1993 titled Atlas Geopolitique du Moyen-Orient Et Du Monde Arabe (edited by Philippe Lemarchand and published by Editions Complexe). Subtitled "Le Croissant Des Crisis" or "the Croissant of Crisis," the book examines the politics, religion, culture and history of the region through a post Gulf War lens. 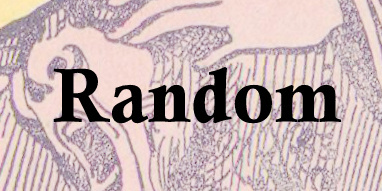 The result is a series of maps that are, by turns, informative, problematic, absurd and obscure. Included here are some of the highlights. 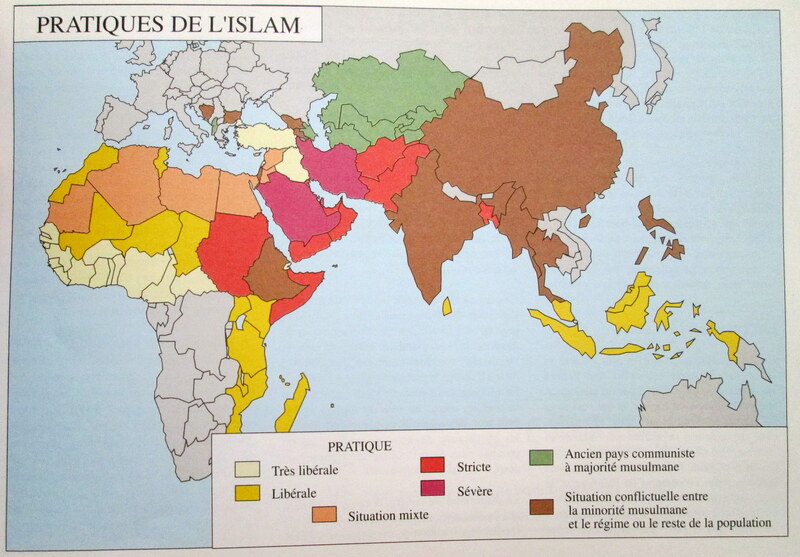 The mapabove, for example, ranks Islamic countries according to the "severity" of their Islam, resulting in a graphic that, like so many others, seems to offer a seemingly precise rendering of already widespread impressions (Saudi Arabia and Iran are both super Muslim!) without offering any profoundly new insights (in Egypt, the situation is mixed. That certainly explains the last week or so!). 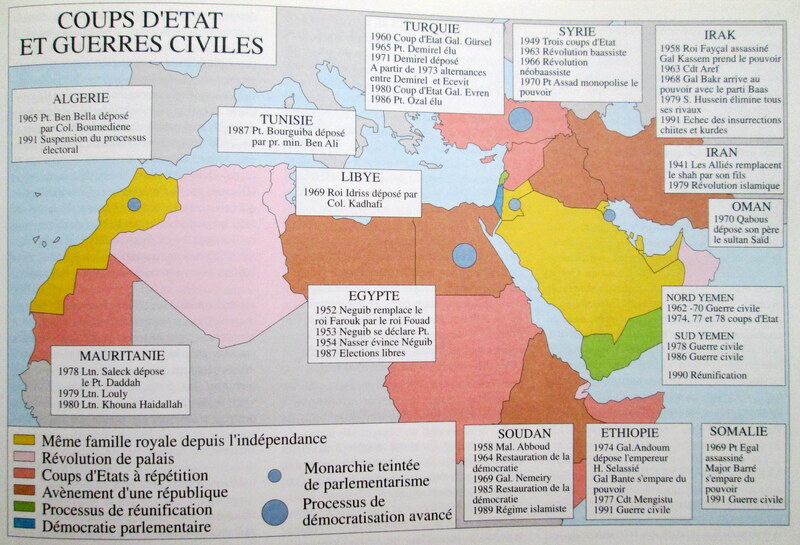 More helpful is the map below, which offers a handy guide to all the region's coups over the last half century. The next step, it seems, would be color-coding them according to whether the French or the Americans were responsible. Finally, an interesting look at the linguistic development of the region, where English and French are facing off with Arabic and one another in an ongoing battle for cultural cache.